Add a touch of elegance to your kitchen or bathroom with the Liberty Kentworth 1-3/8 in. Venetian Bronze Round Knob. Featuring a simple design and Traditional style. This decorative knob can enhance any cabinet. The Liberty 1-3/16 in. Clear Victorian Glass Knob recalls that elegant period in decor. The crystal clear finish provides a sophisticated complement to your cabinetry. Update your cabinet hardware to give the room a brand new look. 30mm New Traditional Knob The Liberty Bundled Reed 1-3/16 in. 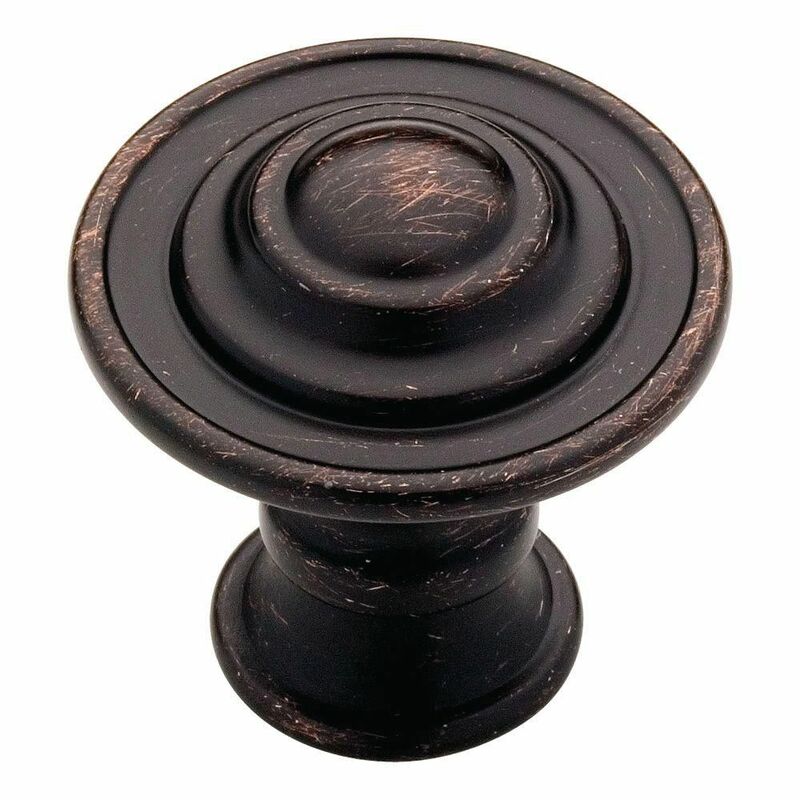 Venetian Bronze New Traditional Knob features a classic design to add a beautiful accent to your kitchen or bathroom cabinetry. Make a statement without having to say anything at all when this knob is displayed. Installation is easy and the necessary hardware is included. 30mm New Traditional Knob is rated 5.0 out of 5 by 7. Rated 5 out of 5 by HomeDepotCustomer from Easy to install. Nice quality. Easy to install. Nice quality. Rated 5 out of 5 by Gintytar from updated look These knobs are of excellent quality, easy to install and updated the look of my cabinets. Rated 5 out of 5 by sweetie from JUST THE LOOK I WANTED We are updating our kitchen and these were a perfect way of changing the look of our cabinets. The color works, the simple style works and most of all, they are a good fit for my older adult hands. Rated 5 out of 5 by Leslie from Great replacement knobs We purchased over 100 of these knobs to replace polished silver builders knobs throughout the entire house. They are a great improvement on our cherry cabinets. They are sold in our local store or online so we picked up one to confirm our color choice and compared and purchased online. Rated 5 out of 5 by SoVeryHappy from I love these knobs almost exactly what I was looking for, the style I wanted was a discontinued style, just my luck, and these were my next choice. For the money they are perfect, and they were just as stated and looked just like in the picture. Rated 5 out of 5 by Anonymous from Beautiful I refinished a dresser and these updated it beautifully. The picture is spot on and the price is reasonable. Obviously there are many choices online, but if you're on the fence, you won't be disappointed with these.